The Auto Shanghai Motor Show starts today. The British luxury car maker Aston Martin Lagonda has entered the Auto Shanghai motor show with a bang! Introducing for the first time is the production-ready Rapide E, the brands first all-electric vehicle. Alongside this are two highly anticipated concept cars namely AM-RB 003 and Lagonda All-Terrain, which first showed their faces at this year’s Geneva Motor Show. The automaker has started production of the Rapide E at St Athan in Wales. The facility is dedicated to producing only electrified vehicles. Aston Martin will create only 155 units of the electric car in association with Williams Advanced Engineering. The car will feature two electric motors pumping out 610PS and 950Nm of torque. 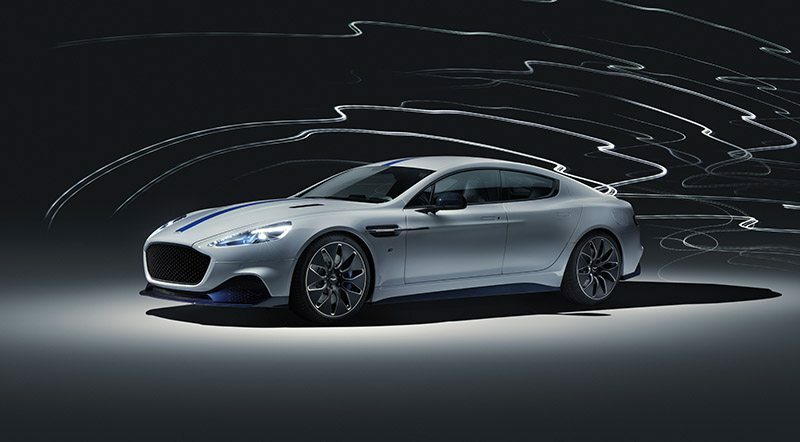 This makes it the most powerful Rapide model in the company’s history. The third mid-engined hypercar of Aston Martin, the AM-RB 003 takes most of its cues from the Aston Martin Valkyrie and is currently under construction in association with Red Bull Advanced Technologies. Both the developers will use their experience in Formula 1 to take its performance to the highest echelon. Aston Martin Lagonda, the luxury marquee that focuses totally on zero-emission powertrains is presenting its first production model, the Lagonda All-Terrain Concept featuring bespoke styling and luxury features. Aston Martin sees the Chinese market with great concern. The recent partnership with the prominent Tongji University in Shanghai and the brand’s opening of the first global center in China show Aston Martin’s commitment to the region. The automaker has also joined hands with Shang-Xia, a design firm created by popular designer Jiang Qiong Er and France’s Hermès Group. The Auto Shanghai Motor Show starts today. Visit Aston Martin’s Auto Shanghai display in Hall 8 on Stand 8A31.